Roomy, comfortable and refined, the 2018 Nissan Murano fits in the center of Nissan's extensive lineup of SUVs. Larger than the Rogue, but smaller than the Pathfinder, the new Nissan Murano is a 5-passenger midsize SUV with daring design, a luxurious interior and a powerful V6. A Top Safety Pick by the Insurance Institute for Highway Safety, the Murano competes with the Ford Edge, Hyundai Santa Fe Sport and Toyota Highlander. 2018 Murano the perfect vehicle for a growing family. I am 75 years old. My Murano is too big and is hard for me to judge my width when I am turning. I love the room inside. The cargo area is huge. I like the remote starting. Heated seats, heated steering wheel. It is very poor on gas mileage. My Murano handles good when on the highway and is powerful when you accelerate. I love my Nissan Murano. It's a 2018 and drives so smooth. I have had it only a few months with no problems thus far. It handles very nice. It has the Navigation system that's awesome. The only downfall I have is the headlights. They need to upgrade the headlights. That's the only complaint I have about it. Love my new Nissan Murano! 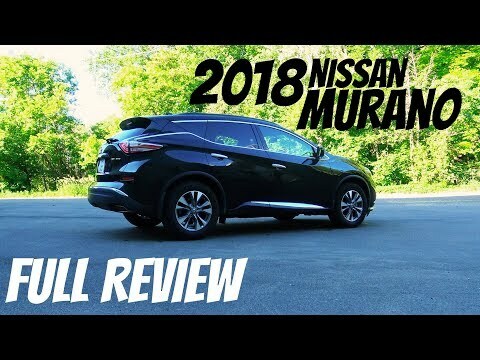 I got my 2018 Nissan Murano 6 months ago and it has been great! I downsized from a big truck so it has been much easier to park and zip around in. Still nice and roomy inside, my German shepherd loves to ride around in the back seat! I love the features it has like the backup camera and radar in the front.